How about a savory aphrodisiac? 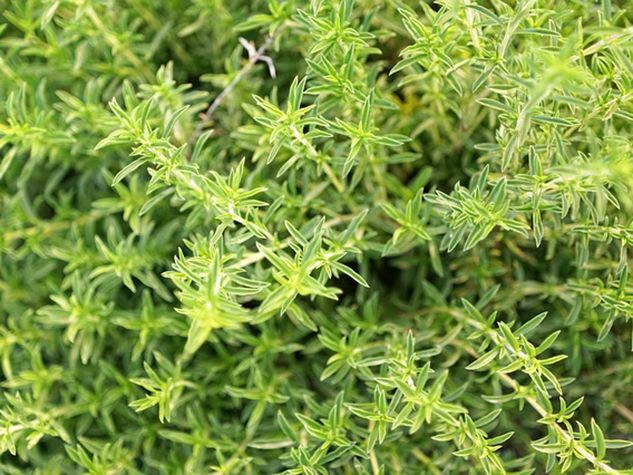 Savory is an aromatic perennial herb that originated in the Mediterranean region and it includes at least 15 species, of which Summer savory (Hortensis) and Winter savory (Montana) are the most common. The Romans claimed that it was an aphrodisiac and that is how it got its name Satureja, meaning ‘herb of satyr’ (a half-man half-goat mythological creature, known for its sexual strength). Savory was also appreciated as a spicy condiment in the olden days as it was a precursor to different varieties of peppers. Incidentally, it served as a substitute for pepper, which was a rare commodity in Europe during the Second World War. It is an ingredient in various aromatic mixtures, including “Herbes de Provence”. In many parts of the world, savory is added during cooking of beans and all types of legumes because it prevents flatulence. In fact in Germany, it is known as bohnenkraut meaning bean herb. Savory is sometimes sold fresh when in season, but more often than not, you usually find its dried version. Very popular in traditional Quebecois cuisine, it is a must in pea soup, fava bean soup and cabbage rolls. Originally published in the Journal de Montréal on August 7, 2010.